With the currently low profitability of DOGE a lot of miners are looking at some other alternative cryptos with higher profitability to mine instead of DOGE and LTC and an interesting alt coin pops up called Cosmoscoin (CMC). This scrypt crypto has a profitability that is currently about 3 times higher than that of DOGE, so a lot of people are looking for mining pools and exchanges where they can mine for Cosmoscoin, but unfortunately there are not that many of these available. Aside form the recent spike in interest CMC hasn’t been very active lately and many of the previously available pools are not working anymore, so there are just a few left that are experiencing various problems due to the many users trying to mine and the instability of the CMC network. Furthermore Cryptsy, the main exchange trading CMC currently is experiencing some sort of issues with Cosmoscoin as you are unable to generate a deposit address, so you are not able to send and trade the mined CMC there. An alternative exchange that supports CMC is Bter and they have temporary taken down CMC deposits, and there is another one that works called CoinEx, but there a deposit address generated there was not accepted by the pool we tried to mine at. So be careful with CMC as although it may seem as a good idea to mine it now due to the higher profitability it apparently has at the moment, the problems you may face trying to get and trade your coins might not be worth it. So we recommend to AVOID Cosmoscoin (CMC) for the moment! Announcing CosmosCoin – CMC, the latest and most innovative PoW/PoS coin! Fair start and zero premined! 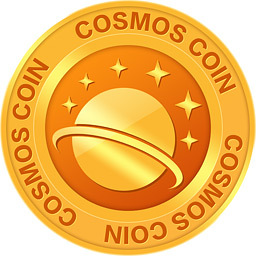 Cosmoscoin combines the best from Bitcoin/Litecoin/Novacoin/Florincoin, it uses both Proof of Work and Proof of Stake. This provides good resistance to 51% attack. It also supports transaction comments like Florincoin, so when you send transactions to the cosmos, you and your receiver won’t be lost! Moreover, this coin has very low transaction fees (only 0.1% of most other coins), and fast transaction confirmation time (1.5 min). It provides steady coin supply at 3.5 coins per block.